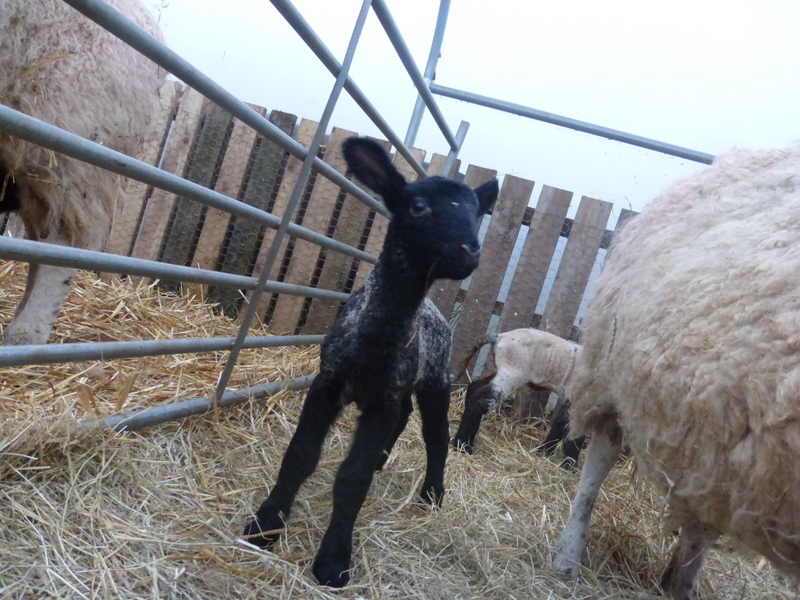 Mary …… had two little lambs …..
their fleece was black as coal……. This morning. 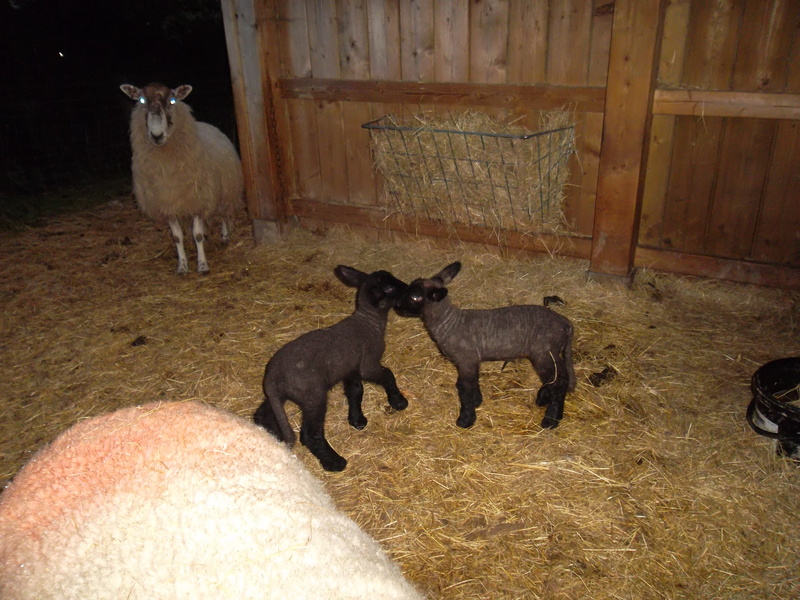 A ewe lamb and a ram lamb. 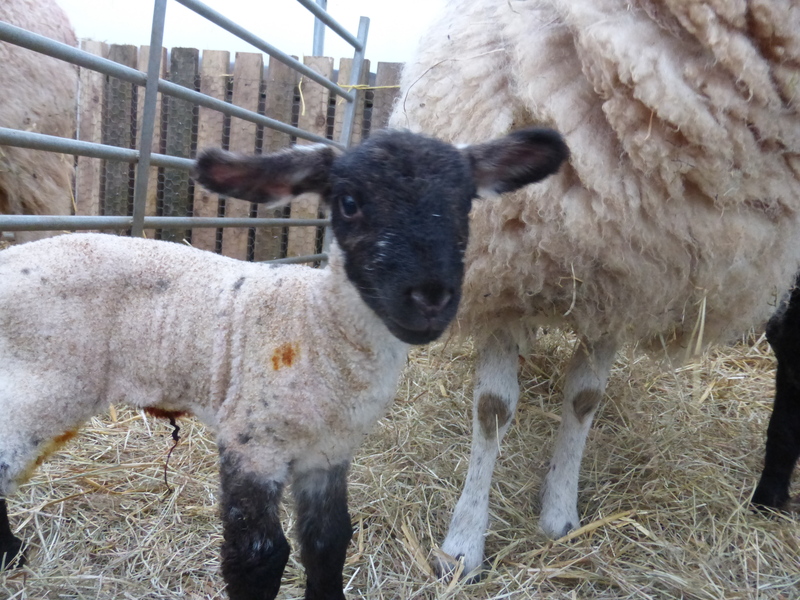 Only three more ewes to lamb now, sometime this week. (Monday 20th April 2015). 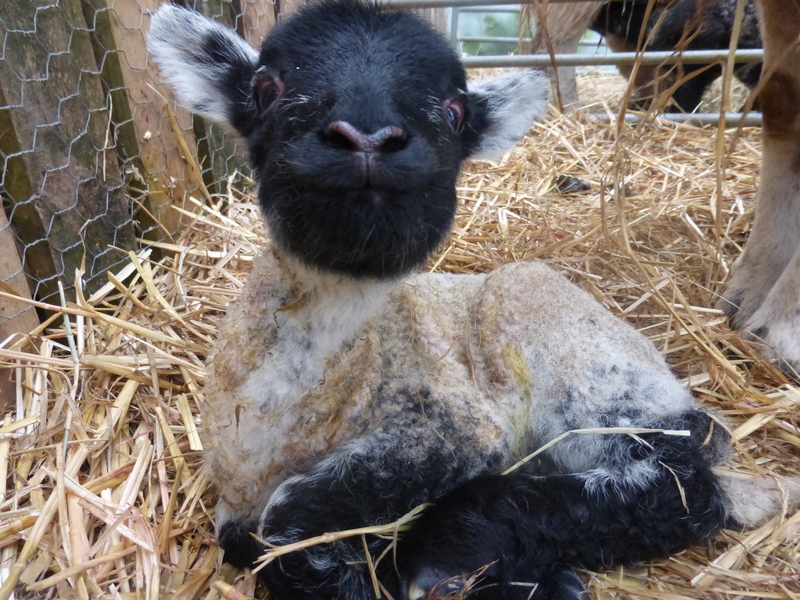 Five lambs have been born today (Friday 24 April 2014). 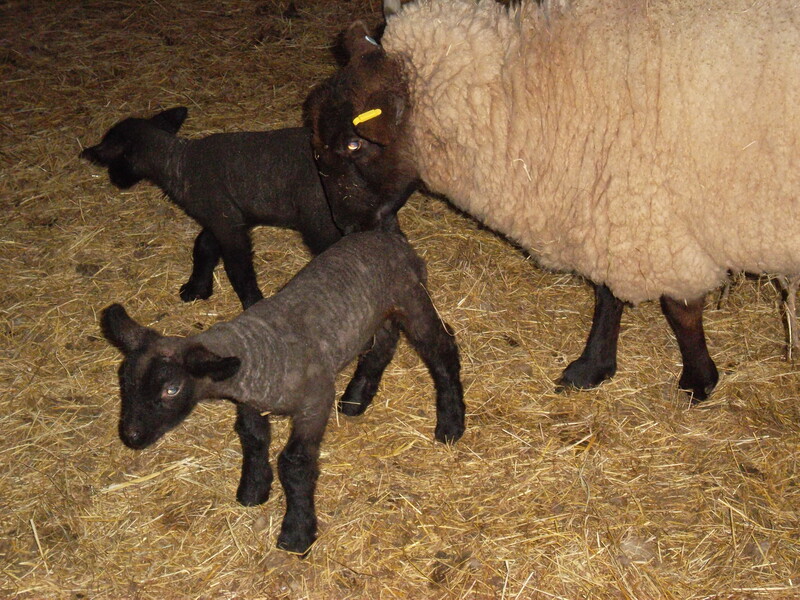 Twins to one Ewe and triplets to the other. 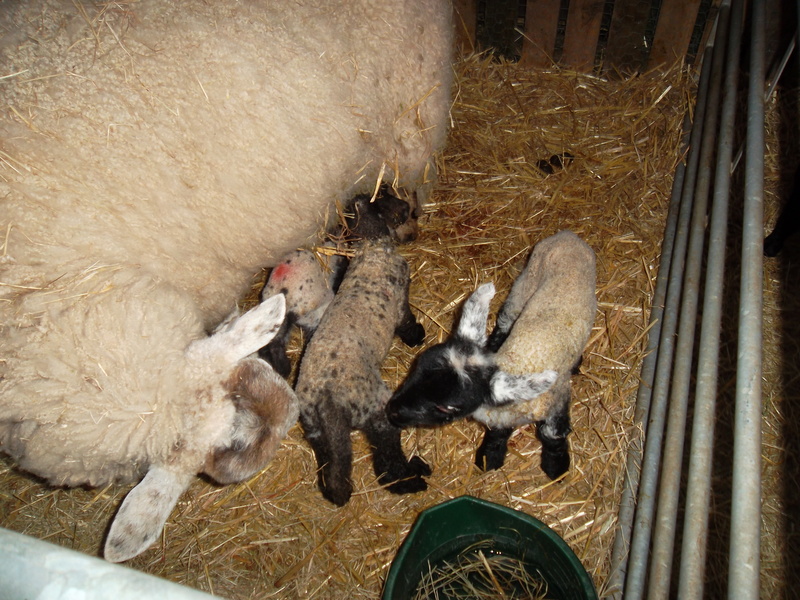 Once again Andrea had to step in with the triplets when lamb number two got stuck! Fortunately, due to women’s intuition Andrea has been keeping an eye on them. 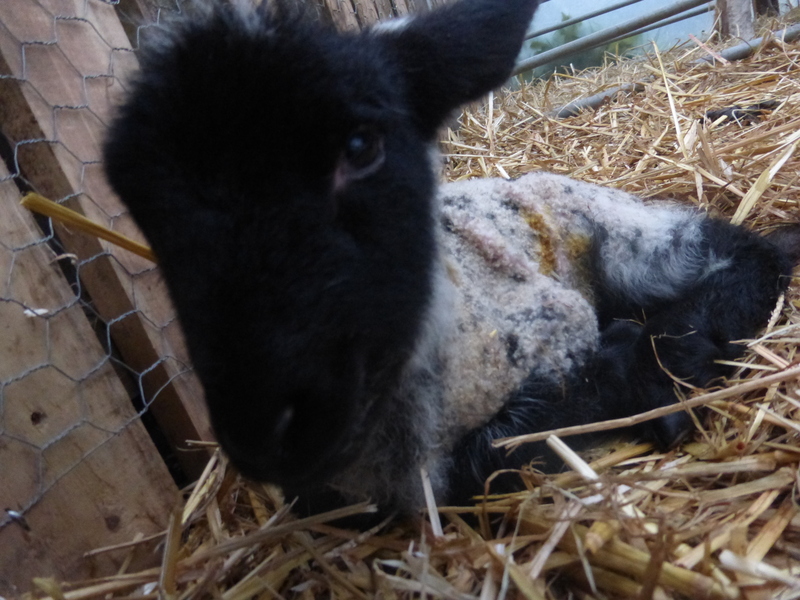 After helping the ewe deliver her second lamb the third one delivered normally. Hopefully Andrea will have a good sleep tonight. Triplets born 24.04.2015. 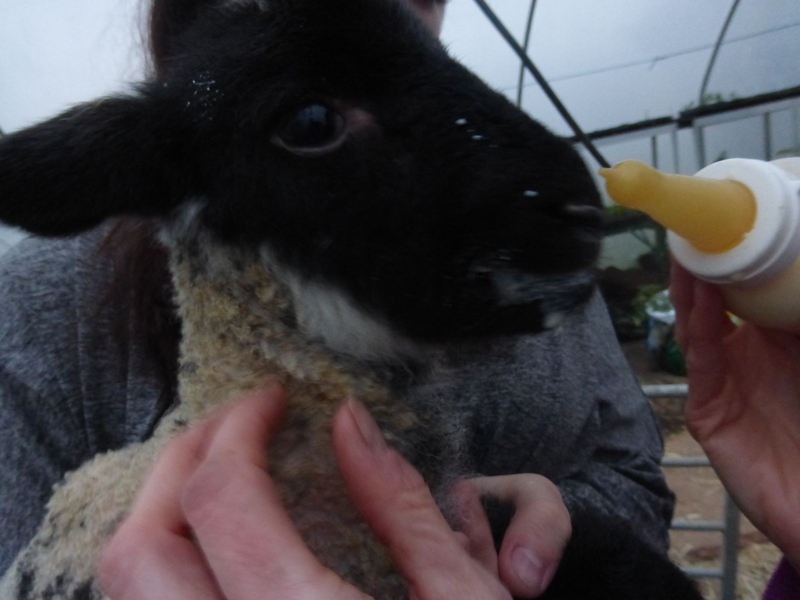 The smallest one was started on a bottle this evening to keep her topped up. 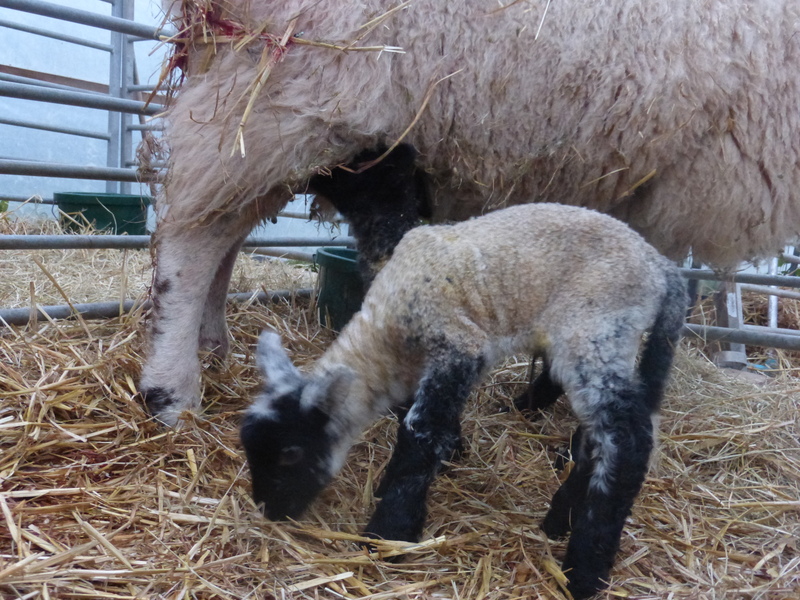 The other two larger lambs are feeding well from their mum. 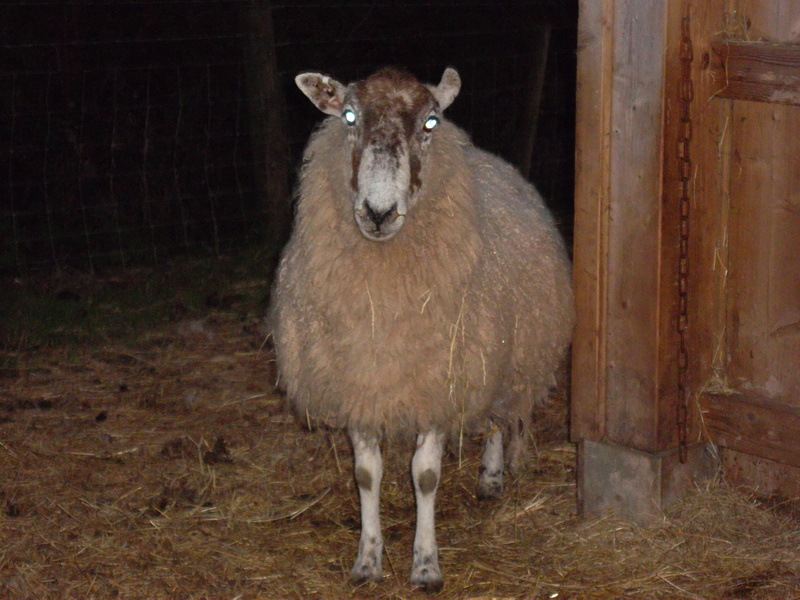 The Ewe below is due to lamb shortly.